How do I define myself? How do I conceive of the world? How do I relate to others? How do the words I use to think and speak enhance or limit my ability to see things clearly? How can I engage the suffering in the world in a skillful way that does not fuel anxiety, anger, and fear? These were the questions that we investigated at the recent retreat at Sudhana Center from July 22-29, 2017. As a group of fifty people, we reflected deeply on how we created our identities and the ways we construct who we are. Two texts helped guide the retreat: The Forgetting of Air in Martin Heidegger by Luce Irigaray, a French philosopher, and The Six Perfections by Nagarjuna Bodhisattva, a pivotal figure in the development of Buddhism. Though separated by nearly two thousand years, both authors share the theme that generosity and gratitude are key elements in opening up the mind and freeing oneself from conditioned habits of thought and identity. We read the thoughts of these two thinkers to use their profundity as a gateway into self-reflection and insight. One of the key themes in Irigaray's text was that language is deeply embedded in our way of “being.” Language is always, moment by moment, in the process of creating and structuring a “world” and “things in the world.” She asks us to go back to a place before language arises in the mind, so that we can uproot the deep tendencies of identity that shape our reality. Freeing ourselves from these tendencies opens us up to new possibilities of being with ourselves and others. To facilitate this investigation inwards, we meditated five times each day and kept noble silence throughout the day. By sitting quietly and not socializing, we allowed our minds to calm down, giving us the opportunity to observe how we construct our realities through our feelings, thoughts, and words. Although the meditation was often difficult in the summer heat, we were encouraged and inspired by Dharma Master Heng Chih who told us not to waste our time, but apply real effort in practice. To inspire us, she shared her joy and discoveries from fifty years of meditating. To guide us, she answered people’s meditation questions and shared the teachings she received from Master Hua. Irigaray’s writings also pointed to gratitude, especially for our mothers who gave to us so wholly and completely while we were in the womb, as an access point for opening up the mind to a place before language. She reflects that as babies still forming in the womb, we existed in a “pre-language” state; it was only after birth and growing up that we began to absorb the language provided by our surroundings and understand who we are and what the world consisted of. From recognizing the kindness of our mothers (i.e. filial respect) as well as appreciation for the “air” around us that is always supporting us, allowing us to breathe, we begin to lead a new way of being. We no longer need to force our version of reality on others (or force others to fit into our reality), but are able to be open to people for who they are. From this openness, we can be of true service to others, not from self-identity, but from a heartfelt connection with others. This approach to generosity complemented Nagarjuna Bodhisattva’s teachings on dana paramita, the perfection of giving. He provides detailed instruction on how to give, not out of a sense of self, but a true wish for the welfare of all living beings. True giving comes from true wisdom, which is not limited by words and language. When giving is perfected, there are no categories of “giver,” “recipient,” or “gift.” Giving is done unconditionally in accord with the nature of reality. Nagarjuna Bodhisattva’s text was quite terse, and Dharma Master Chih had many of the younger participants (Jin Chuan Shi, Angela Morelli, Jose Gomez, Meghan Sweet, Stacy Chen and Yuen-Lin Tan) explain the various lists or principles found within it. Jason Tseng and Kien Po shared Dharma reflections on service and sincerity during lunch. Each student offered a slightly different perspective that added to the overall approachability and diversity of the retreat. All the ceremonies during the retreat were conducted in English (except for the mantras) with a combination of Mahayana and Theravada chants: liturgy of the City of Ten Thousand Buddhas and the daily chants practiced at Abhayagiri Monastery. A few days into the retreat, upon request, an additional class was started to help explain the basics of ceremonies, which addressed questions like: Why do we chant? How do we chant? How do we pronounce these mantras that are Chinese transliteration of Sanskrit sounds? Behind the scenes, many people worked hard to make this retreat run smoothly. 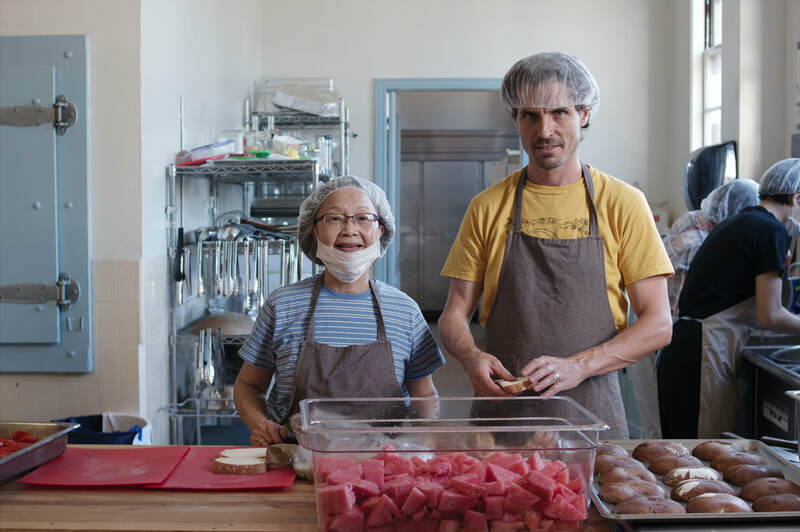 Head chefs Trevor Yoho and Flavia Lee-Faust along with many of the participants prepared three vegetarian meals every day. A group of dedicated volunteers cleaned Sudhana Center for a week before the start of the retreat. And planning for the retreat began many months in advance. As the retreat came to an end, there was a palpable feeling that everyone had gone through a deep transformation. Some shared how they appreciated the atmosphere of honesty, openness, and care. Others commented on how having both a Western text and a Buddhist classic brought Buddhism into dialogue with modern thought. 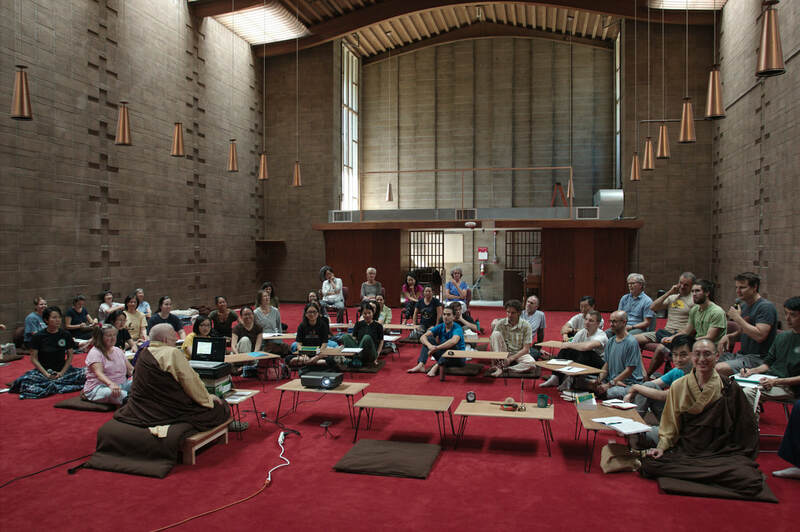 Almost everyone sensed the potential of Sudhana Center as a gateway for bringing Dharma to the West. 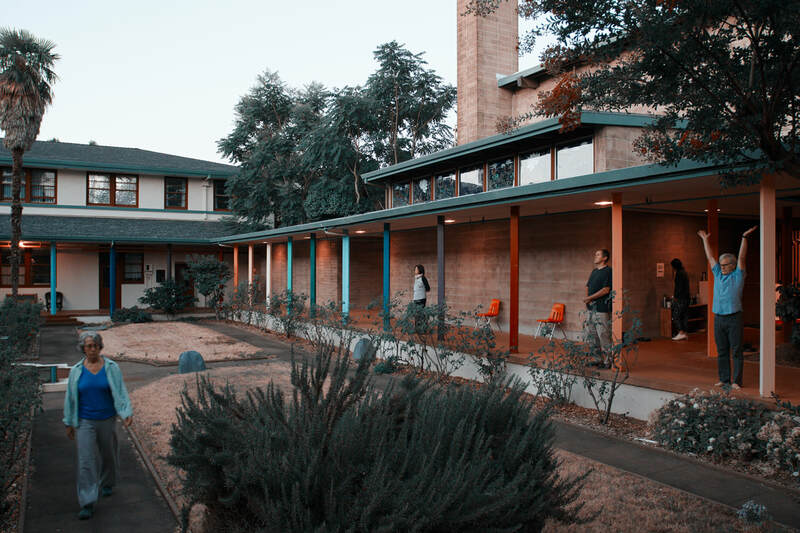 In many ways, Sudhana Center is still forming its “identity.” Who is Sudhana? -- a young Dharma seeker who could be any of us.